I’m leaving out Arthur’s death because I’m pretty sure we were all crying when it happened. 5. When Dutch Killed Micah. To me, it was a moment full of regret. Dutch knew now, almost a decade later, that the fall of his family was his own fault. I could see it in his eyes. He knew had he not given Micah so much trust and power, all the people he cared about would still be around. Very emotional. 4. Karen Jones’ Alcoholism and Fate. Karen is one of my favorite characters. She’s full of light and always has a smile, and wants to be one of the boys!! She wants to rob banks and be a gun slinger like the boys! But towards the end she starts drinking a lot. Someone who drinks that much is drinking for a reason. I was hoping we’d see a happy ending for her like we did Mary Beth, Pearson, and Tilly. But then she’s gone and we have no idea where she went. 3. The Downes Family. Poor Mr. Downes had tuberculosis and died. Then his wife became a prostitute to make ends meet. But ends weren’t met so his son became a coal miner. Eventually, Edith and Archie become wealthy. But money won’t bring back Thomas. 2. Rains Fall and Eagle Flies. Rains Fall begged his son not to attack the oil fields. But he did and he died. Years later when John comes across Rains Fall, he’s still mourning the death of his son. I would be too. I also have to add that the overall treatment of Native Americans by the government was very disheartening. 1. Mary Linton at Arthur’s Grave. I’ve loved and lost. But not the way she has. I didn't realise that the horse death scene is only included if the player has bonded to a certain level with the horse. Mind blowing detail. Surprised it hasn't been mentioned more in this thread but the stranger mission strand with Hamish and how it concludes was really f*cking sad. You get the impression Arthur and Hamish had a genuine bond during their hunting and fishing trips. Arthur finds a friend in him at a point in his life where he realises he doesn't have much time left due to his illness and the gang is on the verge of collapse. To me it seemed like meeting up with Hamish was an escape for Arthur where he could just enjoy the company of someone who was older, wiser and just trying to live a normal life...you could even argue Arthur wanted the life that Hamish had. I was gutted how things ended for Hamish, it was such an abrupt end to a brief but but meaningful friendship. You get the impression Arthur and Hamish had a genuine bond during their hunting and fishing trips. Arthur finds a friend in him at a point in his life where he realises he doesn't have much time left due to his illness and the gang is on the verge of collapse. To me it seemed like meeting up with Hamish was an escape for Arthur where he could just enjoy the company of someone who was older, wiser and just trying to live an easy life...you could even argue Arthur wanted the life that Hamish had. I agree, I was genuinely upset for Arthur when that happened. Did you read his journal about it? I probably did in my first play through but cant remember, what was said again? I just read you can actually keep him alive if you dont do the last encounter as Arthur. Instead you can visit him with John for a unique cut scene with him. I literally just finished this again. Amazing even though I've done it once it's still a very powerful and emotional moment. The last ride for the dying gunslinger. Simply incredible. Ok it might not have quite had the same impact as the first time, but it's still tugs at the heart strings and despite I knew my horse would die it made my hear sink. I love this game man. It's a work of art and some of the best writing in years. Rather than go for the obvious ones like Arthur dying I'll try and mention some that maybe others didn't necessarily think of (In no particular order btw). 1) Mary's reaction when Arthur declines to find Jamie. I chose to find him in my first game, but in the second I said no. It looked like she was going to break down and it made me feel guilty instantly. 3) When John proposes to Abigail. I know it's supposed to be a contextually happy moment, but when you realise their lives are cut short due to what happens in Red Dead Redemption it makes the whole thing feel really weird and sad looking back in hindsight. 4)The gang's slow descent into chaos by the time they reach Beaver Hollow. 5) Arthur's kindness towards Charlotte. Even though he teaches her how to survive I still felt really sad for her. My top sad moment happened at the small station when Arthur has a quiet moment with the nun. Arthur,s face...his eyes. So revealing. A truely sad moment in this game. I just stood there for a while soaking it all in ! "I gave you all I had..."
5. After getting the last letter from Mary, Arthur writes in his journal "What did I expect? What did I want? Weren't never meant to be and never really was, and yet somehow, in the end, I discovered I had a heart because it was broken." 4. Sean's death. You could kinda see it coming during the mission, but honestly, who all expected him to be the first to die? It wasn't that long ago you had rescued him. Then after the mission Arthur narrates "He was like an annoying little brother to me. What fun we had riding together." The actual journal entry adds even more. This is the first taste of how depressing the story will ultimately get. 3. Strauss getting kicked out. Initially it wasn't that sad to me. He did a scummy practice but honestly I didn't think too bad of him, didn't really think all that good of him either. But then when you find out years later that he refused to rat out his family, even after being kicked out, it made me sad, especially rewatching the scene and seeing how confused and upset he is by this. 2. When Arthur goes to collect from Mrs. Londonderry. How she gets confrontational with him - "There ain't nothing left, mister!" and how Arthur responds to her when she angrily asks if he wants the little food from their bellies, her boy's shoes, and if he wants her to lay down for him. "No, no, I..." Then when he cancels the debt and she suggests he and Strauss do things differently, all he can give is a broken "I'm sorry, ma'am." 1. "I'm afraid." - Everything about this scene. Sister Calderon's response makes the moment bittersweet. "There is nothing to be afraid of, Mr. Morgan. Take a gamble that love exists and do a loving act." Another that I have to mention, although I didn't want to count it as part of my initial five since it has to do with Arthur's death, is how Dutch responds to "I gave you all I had." Dutch, who always has an answer for everything and knows what to say, who can always come up with a big speech, is only able to respond "I..." He can't say anything because he knows that he did wrong. His whole world comes crashing down as the reality of the situation finally hits him: His family is destroyed, his son lays dying before him, and it's all because he let himself be tricked. All he's able to do is walk away a broken man. Honorable mention to the deer scenes as well. Those serene images and that peaceful guitar music makes for such a powerful scene that you can't help but want to cry at its beauty. This and Buell, goddamn it. Arthur's hurt-filled final words to Dutch and saying thank you to a dying horse just about broke me. Can you imagine giving someone twenty years of your life and your soul to have them repeatedly betray you, leave you for dead and then watch as you take your last breaths while denying you your last wish. Arthur could have shot Micah in the face with his own gun if Dutch had not betrayed him and stood on his hand like your stand in sh*t.
I think it was that moment that truly broke whatever Arthur and Dutch had which is why Arthur said what he said. 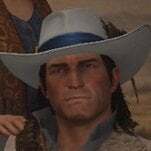 He was willing tio kill for Dutch one last time and Dutch chose Micah over his own "son"
The realisation that he'd spent his entire life in service and in trust to that worthless man must have been terrible. The only thing worse is that Dutch turned and walked away to leave Arthur to die alone. He couldn't spare 2 minutes to be there while his old friend and surrogate son took his final breaths. I think I hated him more than Micah at that moment. Even if Dutch could not bear to to watch his "son" die he proved he was a coward anyway by not being there for him anyway. 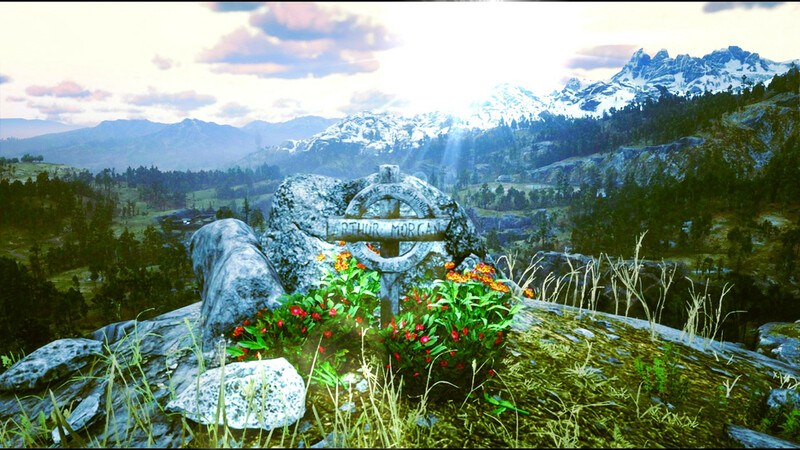 People think that Arthur got a beautiful death with the sunrise but the anger, grief and sadness must have been unbearable. There's a moment between John and Arthur during The Sheep and the Goats I love. 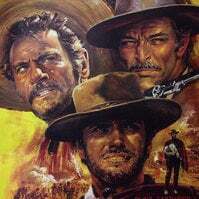 Arthur: "Well...New Century's coming. This life, this way? Well, we're the last, I reckon. And we ain't long for it. John: "Then that's the way it goes, I guess." There's something about the way Roger Clark delivers that last line; it's full of such vulnerability and is also very foreboding. There's a constant sadness in Arthur that Roger really nailed. I remember playing through the first time when the gang was camped out in the mountains (Ch. 1). Listening to Dutch, I thought....I like this guy, he cares. 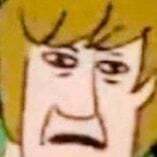 When Dutch left Arthur to fend for himself during gunfire in a warehouse was the last straw.....that is until the moment Dutch betrayed Arthur and walked away at the end as if Arthur didnt even exist. 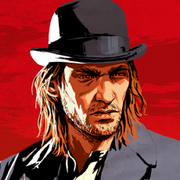 Arthur could have shot Micah in the face with his own gun if Dutch had not betrayed him and stood on his hand like your stand in sh*t.
You can’t really blame Dutch, blame Rockstar for piss poor writing. There is no way in hell someone would choose a guy who he knows for about 6 months over a lifelong friend. It just would not happen, especially with outlaws who have a really close bond as they camp and live basically 24 hours together. Dutch was always a psychopath and like all psychopaths he hid it well because that served his and only his interests. Imagine him like a cult leader, everything he does is cultish like finding lost and impressionable children/young people and moulding them in followers that follow him unquestionably. The most simple way to rattle a psychopath is to say no and Dutch proved that, Dutch believed that Arthur owed him unquestionable loyalty and when Arthur finally said no he cast him aside like he did with Mrs Grimshaw for Molly. It is wrongly assumed that psychopaths cannot feel love, this is wrong. Dutch loved Hosea which is why he can get away with telling him no. Dutch owes just as much to Hosea as Arthur owes to Dutch. Micah was the yes man Dutch had longed for even though it was coming out of a lying mouth, as Dutch slowly lost the control he craved (Hosea kept Arthur in line by being a shoulder to scream into when needed away from Dutch) and his mask of sanity began to slip. A drowning man will grasp at anything and Micah was the only one saying the one thing Dutch wanted to hear..."Yes"